Although there are numerous shops all over Australia claiming to offer high-quality printing services, finding the one that offers complete value for money can prove to be a daunting task. Some companies do not have the latest machinery for providing competent printing services while others charge a bomb for such jobs. 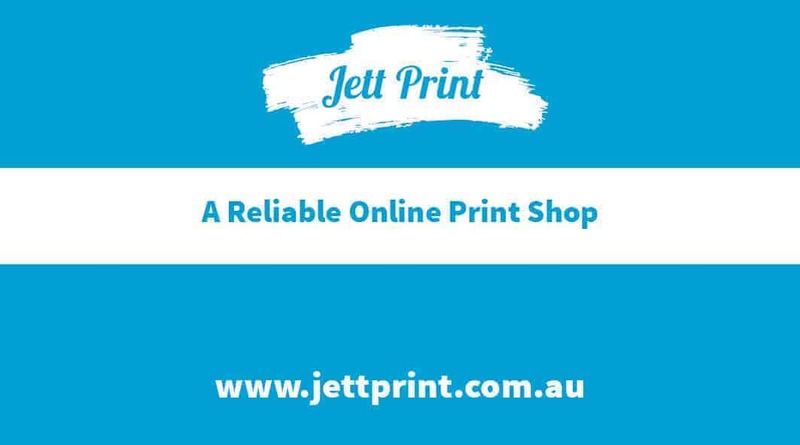 If you are looking for high quality online printing services in Australia, then you have to go nowhere but Jett Print. We use state of the art technology to provide the most proficient printing job. Our services are professional, reliable, and cost efficient. Our specialty lies in printing almost anything and everything. From bar runners to barcode stickers, frames to business cards, cardholders to car magnets, we take pride in providing high quality, professional printing services for almost everything. Our printing staff is competent and professionally trained. Furthermore, they are dedicated to providing exceptional customer experience. A factor that sets us apart from rest of the printing companies in Australia is our affordable rates. Unlike other companies, we do not charge through the roof for our products & services. Customer satisfaction is our top-most priority; thus, we offer our diverse range of services, including the most proficient printing services, at the most affordable rates. 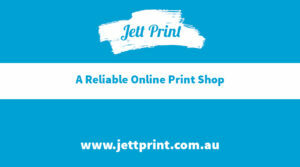 At Jett Print, we believe in offering services in a convenient way to our customers. We offer an easy way for you to place you orders. They can simply visit our online shop and place your order. Your order will then be delivered to your doorstep anywhere in Australia, free of charge. In addition to that, we are also a name to trust for social media management, website design, logo designing, wedding invitation printing and other diverse range of services. So, contact us now and utilise our most reliable services.